Michael Jordan is famous for his big hands (even by NBA standards) and he often used his palming ability to his advantage on the court. It’s also an essential skill in order to be able to consistently dunk a full-sized basketball. When I set my goal to be able to dunk a Basketball back in 2016, there were two major obstacles. The main obstacle was being able to jump high enough to get the ball above the rim, and the second was ensuring I could keep a ball under control in order to successfully dunk it without sending it flying off course. I spent 8-weeks working on my vertical leap. After that, the only thing holding me back from being a good dunker was my ability to consistently palm a basketball. Luckily, I found that training to palm a basketball wasn’t as hard as I expected, despite my smallish sized hands. I’m first going to discuss two important factors that influence your palming ability, hand size and palming technique, and then cover some methods which will improve your ability to palm a basketball. It should be obvious that hand size plays a big role in your ability to palm the ball. You can have fantastic power and technique but the closer together your fingertips are, a smaller amount of the total pressure will apply an inwards force on the basketball. Imagine your hand is one inch long – it doesn’t matter how much grip or power you exert, the ball won’t stick. It’s simple physics. So, is there a ‘bare minimum’ hand size? Well, technically there isn’t a single measurement that determines whether or not you are capable of palming a basketball. 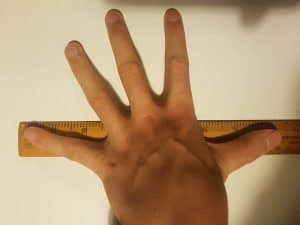 It’s not just about hand length (measured from the wrist to the top of the middle finger), but also hand span (the distance between your thumb and pinky when you spread your hand out). You could have a relatively short hand length, but have really wide hands, for example. In addition, finger/grip strength is also part of the equation. You can make up for having smaller hands with greater grip strength. However, realistically speaking, to be able to comfortably palm a basketball after training technique and strength, here are some ballpark minimum figures. With these measurements palming a ball might be a little tricky at first, but if you train your technique and grip strength you’ll ultimately be able to palm the ball fairly comfortably. 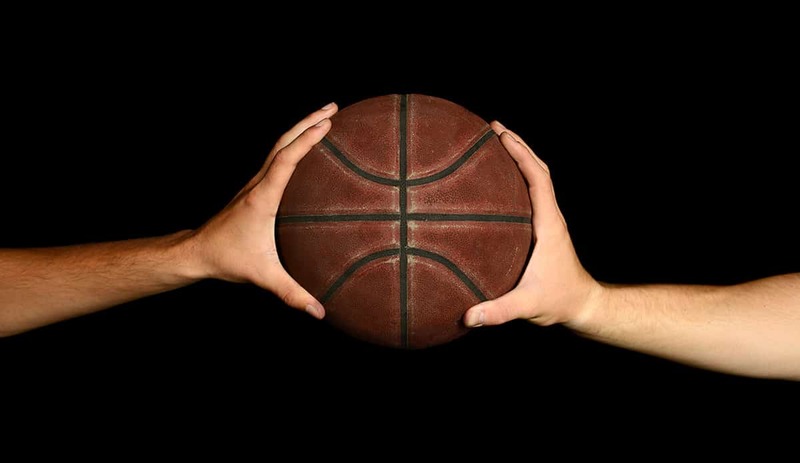 People with smaller hands might be able to palm the Basketball, but technique would need to be even better. For reference, in the NBA draft combine, the smallest hand length you’ll see is typically around 7.75″-8″, although there have been years featuring players with a 7.5″ hand length. 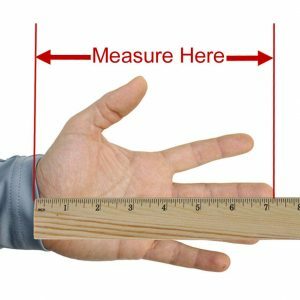 You will need a standard ruler to find out your own hand measurements. To measure hand length, measure from the base of your hand (where the wrist begins) to the top of your middle finger. There is definitely more to palming a basketball than pure hand size. In fact, your palming skill is extremely important and will be an equally important factor as your hand size. Most players didn’t just pick up ta basketball from day 1 and have the ability to palm it securely – unless they’re Michael Jordan. Basketball players will often subconsciously be practicing palming the ball when they have the ball in their hands. Once you are able to palm the ball fairly well, it’s just a matter of spending more and more time palming the ball to maintain your ability and further strengthen the muscles involved in palming. To get to that point, you need to work on your grip strength. Crush Grip: Grip between fingers and palm that gives you the ability to ‘scrunch’ something – think shaking hands, crushing a beer can. Pinch Grip: The grip between fingers and thumb. This is what matters most. For many people, hand grippers spring to mind when they want to improve their hand grip. These things strengthen your hand flexor muscles you use to crush things, but when it comes to palming a basketball, there are more efficient ways of training. 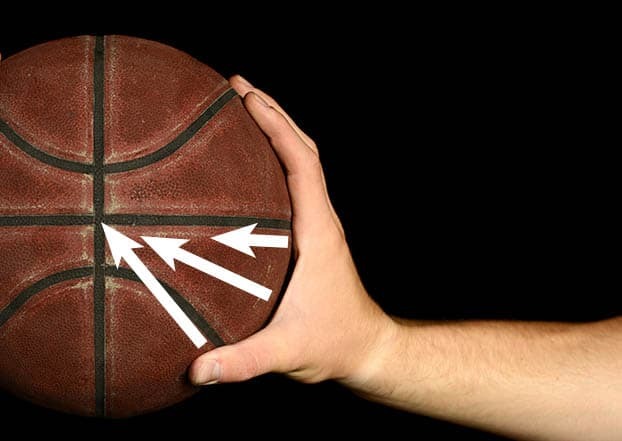 The crush grip and support grip are not as important for the purpose of palming a basketball. What needs to be your main focus for training is your pinch grip. Now that we’ve established that you need to strengthen your pinch grip in order to comfortably palm a basketball, let’s go through some exercises you can do to do that. These are pretty self-explanatory. Perform a standard pushup but instead of having your palm flat on the ground, lift your palm up so your body is supported by your fingertips. This is a more challenging variation of the pushup, so if necessary leave your knees on the ground to begin with in order to make the exercise easier. 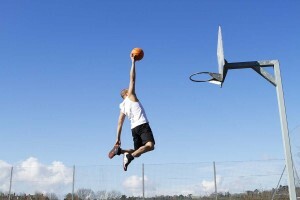 Since gravity is your enemy, you can start out palming your basketball by palming it horizontally – i.e. parallel to the floor. Since the bottom half of your hand will also be producing an upward force on the ball, it will be easier to palm. You should feel a burn running down your forearm after doing the exercise for long enough. Don’t overtrain in order to minimize the risk of high muscle tension induced spasm. Each day, record the maximum number of seconds you can palm the basketball in this manner. You should see continual improvement. As you improve, gradually start angling the ball towards the floor so that you are less and less reliant on the help you get from the upward forces acting on the ball. When you are trying to strengthen your grip using a basketball, you need to be palming for at least 5 seconds at a time, otherwise your fingers won’t have much opportunity to develop. If you are unable to do the above exercise for a meaningful amount of time, then instead start off with a smaller leather/rubber ball to practice with. For this purpose, I’d suggest either getting a womens basketball or a handball (handball is a popular sport in Europe, and the ball is significantly smaller than a Basketball). Try and become comfortable palming either of these smaller balls for 20+ seconds before moving on to a men’s basketball. Unlike hand grippers, finger stretchers are a great way of training finger muscles in isolation. 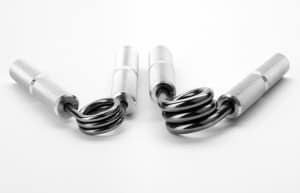 They can be purchased for cheap online and will strengthen the same muscle groups involved in the pinch grip. If you want to see people with insane grip strength, look no further than climbers. Because a climbing wall or natural climbing rocks have random contouring, climbers end up stressing different muscle groups during the course of a climb. As a result, you end up training all 3 kinds of hand grip without even realizing it. I’ve done some climbing sessions before, and noticed immediate improvement to my basketball palming ability shortly after. The burning sensation going down your forearms and fingers after a session is unlike any other. You might have read top players like Kobe Bryant or Anthony Davis can’t palm the ball. Or how about the story that 6’10 Kevin Durant had to tell photographers he wasn’t able to palm the ball when posing for photos? Yet Kobe, Anthony and Kevin are some of the most efficient dunkers on court. Kevin and Anthony are big guys even by NBA standards. The point is even these guys have trouble effortlessly palming the ball in the truest sense, and will typically just cradle the ball during a dunk. When training to palm the ball, your goal therefore isn’t to be able hold a basketball like a tennis ball. Very few people, even in the NBA, actually have that level of control over the ball. Instead, improve your one-handed control over the ball and get it to a level that allows you to perform the moves you want. In my case, having enough control to dunk the ball was sufficient. Ever notice how your dad’s and his friend’s hands typically look bigger and manlier than yours? 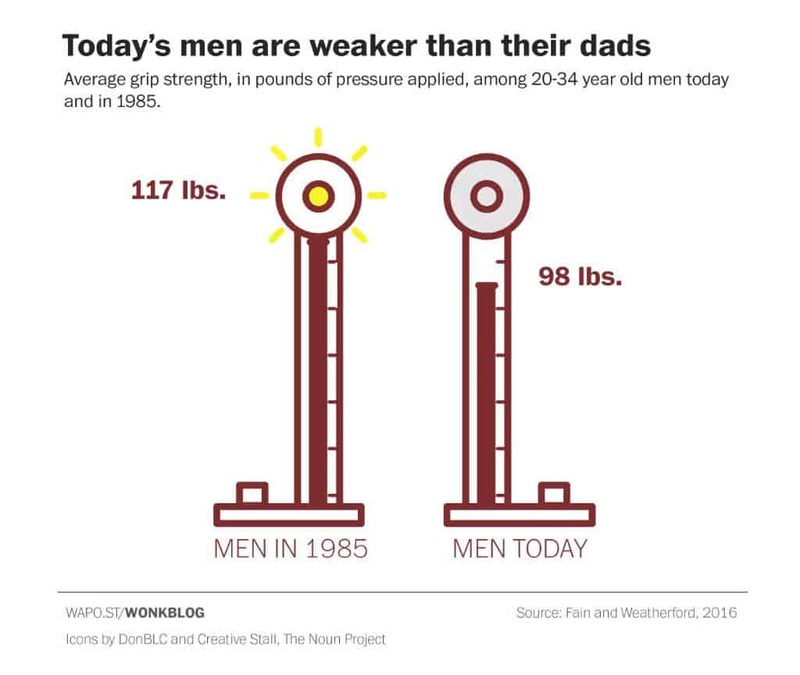 It’s not just an age thing – the younger generation are in fact getting weaker. According to a study by the Journal of Hand Therapy, today’s men have a significantly weaker crush and pinch grip than men 30 years ago. That’s because men’s lifestyles have changed, with a more relaxed, less active lifestyle. Be it helping with the shopping, going to the gym and doing deadlifts/kettlebell swinging or just playing basketball on a regular basis, you need to get off the computer and get physical. Grip strength is a strong indicator of strength in general, and if you are finding it difficult to keep a grip on a basketball, your time might be better spent becoming stronger overall than focusing purely on palming in a band-aid manner. Does The Basketball Make Much Of A Difference? Yes! Some basketballs are naturally grippier than others. For example, the Wilson Evolution indoor basketball that is popular in college basketball is known to be very grippy. By contrast, the genuine leather official NBA game ball is slightly smoother and harder to palm. Hopefully this article will help you become better equipped to start working on your ability to reliably hold a basketball. Let me know in the comment section below if you have any other questions!